We, at BestVPN.co, don’t support any illegal activity or any tampering of an organization’s working mechanisms or even policies. This guide is just meant for educational purposes only. Any other intention specified through the medium of this guide is not supported by us through any means. As we move into an internet-dominated world, users have become increasingly reliant on online services for performing crucial tasks or simply enjoying a little entertainment. Everything goes smoothly until of course, you start experiencing poor speeds on some websites. This slow bandwidth is directly related to ISP throttling, which is the bane of any online users’ existence. Now that the FCC has even dismantled Net Neutrality regulations, ISPs are gaining in power more than ever. In light of this, Best VPN provides a comprehensive guide on how you can Bypass ISP Throttling while leveraging better security online and how to re-enable high speed data after being throttled. Best VPN to Bypass ISP Throttling? Best Free VPN to Bypass ISP Speed Limit Throttling? Why ISP Throttles your Connection? How to Bypass ISP Throttling without a VPN? How to Bypass Data Cap Using a VPN? How to Bypass Straight Talk Data Cap? In simple words, ISP Throttling is the act of slowing down your internet, based on your bandwidth consumption. With the rise of streaming services like HBO GO, Netflix, Amazon Prime, BBC iPlayer, and online gaming from around the world, ISPs have begun inspecting your data to restrict the download speeds for supposedly reducing the congestion on their networks. Of course, the truth is way more complicated, as Governments are even passing legislation in favor of ISPs monitoring data of its users. This allows them to also govern the control of bandwidth on different networks. The speed limitations users experience is known as “ISP Throttling”, and you will be surprised to hear that there are no rules and regulations to prevent them from indulging in this activity. ISP Peering, as the name implies, is the act/agreement of exchanging traffic between different ISPs. It typically gives the ability or larger ISPs with a strong backbone and network to allow traffic from other ISPs in exchange for traffic on their networks. Some even exchange traffic with smaller ISPS, so they can grow their user-base while meeting the rising demands of regional end-points. On a broader perspective, ISP peering is how a number of individual owners put the internet together for you to access. In order to do this, ISPs, access providers, network owners around the world work out agreements, which describe the conditions and terms both are subject to, which includes Bilateral Peering (between two parties) and even Multilateral peering (more than two parties). It does not really matter WHEN your ISP throttles your internet connection. The main concern for everyone is: How to Bypass ISP throttling? The answer comes in the form of VPN services, which passes all network traffic through a secure and encrypted pipeline, technically making it undetectable to the eyes of ISPs, government agencies, and copyright infringement hunters! Bear in mind that almost all ISPs will impose bandwidth restrictions and throttling. In fact, most will regularly limit the users’ network speed, particularly on the WEEKENDS. One reason for this could be that people use the internet more on their holidays for the purpose of downloading and streaming movies/TV shows. Subsequently, by imposing throttling, they can help keep save costs of excessive bandwidth usage. By establishing a VPN connection, you also shift your physical location to one that is virtual by signing a different IP address. This obscuring of your IP, helps keeping your identity private and anonymous, while also protecting all your browsing history and other connections/session day away from the eyes of your invasive ISP. You even have the choice to switch servers to unblock geo-restricted websites worldwide. What most ISPs claim is that throttling bandwidth during certain times of the day, allows them to decrease the congestion over their network. This, in turn, lowers the amount of data they have to process at a single time, saving them the need to buy more expensive and faster equipment to handle the boost in traffic and bandwidth demands. Yes, this may be true for many, but there is always a chance of misuse. For instance, some may purposely slow down internet speeds to save on their costs, which evidently results in the user suffering. While very controversial, some ISPs may also throttle bandwidth online when the traffic is incoming/outgoing from a particular website, such as Netflix. Since the movies/TV shows require the downloading of heavy amounts of data, ISPs may throttle speeds to reduce the load. In countries where Net Neutrality laws are in place, bandwidth throttling imposed by ISPs is strictly forbidden, but even so, there are no specific rules that prevent ISPs from engaging in such activities. Most governments just demands monitoring and controlling of data, but this indirectly also gives them the ability to control speeds. However, consider that the FFC has repealed Net Neutrality, and many other countries following the same steps, it just seems that throttling is becoming more and more NORMAL. Therefore, ISPs will now have the ability to block whatever websites they deem inappropriate, impose throttling on specific websites, and even indulge in paid prioritization. Am I being Throttled by My ISP? Before you figure out how to re-enable high speed data after being throttled, you need to conduct a speed test. This way, you can compare the speeds you are receiving currently with that promised by the provider. If there is a huge gap between what you are supposed to receive, then it is a clear sign that your ISP has imposed throttling on your internet connection, hindering your streaming/browsing/torrenting/downloading experiences. Do you want to find out if you are being cheated on any ISP-related performance degradation on your internet connection? If so, then consider taking this “Internet Health Test” from Battle for the Net, a site that is an advocator for Net Neutrality, and urges people within the US to sign a petition to preventing ISPs like AT&T, Verizon, and Comcast from throttling the internet. Net Neutrality is the principle that keeps users from enjoying the same internet speeds across all avenues on the internet. It ensures there is no discrimination or varied charges for different applications, platforms, websites, content, users, and method of communication. Any country that imposes Net Neutrality typically prevents ISPs from blocking or slowing down traffic for specific online content and websites. This may even be enforced via government mandates. However, governments around the world are now trying to get more control over their citizens. For instance, the new American FFC law repeals Net Neutrality principles and demands that internet traffic should no longer be treated equally. This indicates a great danger to those who want to enjoy an unfiltered internet. Everything will be “micromanaged” and this gives giants like Verizon, T-Mobile and AT&T great power in dominating the market by controlling information and entertainment. Though internet giants like Amazon and Google have raised fingers against these influential telecom providers and those supporting the repealing of Net Neutrality, FFC still passed the law. Now, things will keep getting more complicated, as telecom providers will gain the ability to impose higher prices for normal internet services like access social media platforms or streaming websites. Some may even carve the internet into slow and fast laws, charging users for fast lane content. Best VPN to Stop/Bypass ISP Throttling? So, now that you are familiar with the features to look for in the Best VPN for Bypassing ISP Throttling, you are probably wondering how to re-enable high speed data after being throttled. The answer is really simple and just requires you to sign up with a suitable provider. We have added a comprehensive list of the best providers currently ruling the marketplace, based on support, pricing, performance, server availability, or reliability. VPN Protocols Available – When looking for a VPN for preventing throttling, it is vital to select one that offers support of all popular protocols PPTP, IKEv2, SSH, SSL, TLS, and particularly OpenVPN and L2TP/IPSec – as they offer the best AES-256 Bit ciphers with 4028-bit key authentication that is rare to find with other protocols. Privacy & Logging – The last thing you need is to bypass the throttling and monitoring of data from an ISP only to leap into a service that logs your connection/session data for selling to third-party agencies. Make sure the provider you choose imposes a strict ZERO LOGS policy for leveraging complete anonymity. VPN Servers – VPNs mask your IP address, shifting your location, making it appear as if you reside in a different country altogether. 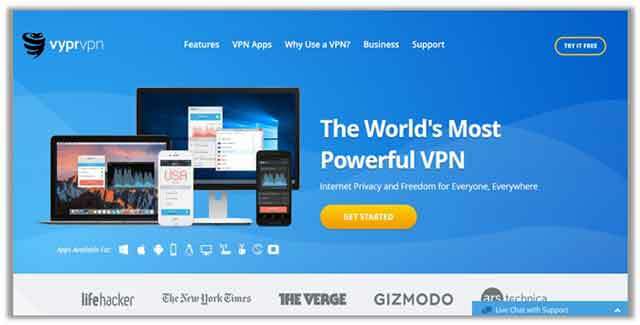 To receive the best value for your money, you need to select a VPN that offers a huge number of VPN servers online. This way, you can also take advantage of seamless and unlimited unblocking of geo-restricted websites around the world. Supported Devices – If you are using a Wi-Fi network, it is clear that regardless on what device you use, the internet will be throttled by your ISP. Therefore, you need a provider that offers good cross-platform compatibility. You should have apps available for Windows, Mac, iOS, Linux, Android, while being able to connect to 5 devices simultaneously. P2P/Torrenting – Though your ISP may not necessarily ban P2P/Torrenting, there are some VPNs for torrenting that may not agree with sharing/downloading torrents for avoiding legal hassles in copyright cases. Make sure the VPN provider you choose for bypassing throttling offers the ability to indulge in P2P/Torrenting. In fact, you should have specific P2P-enabled servers around the world. Zero Logs Provider for Bypassing ISP Throttling. Maximum Protection Online via DoubleVPN. A Total of 4205 Servers in 62 Countries. P2P/Torrenting Enabled on Special Servers. DDoS Protection and Automatic Kill Switch. 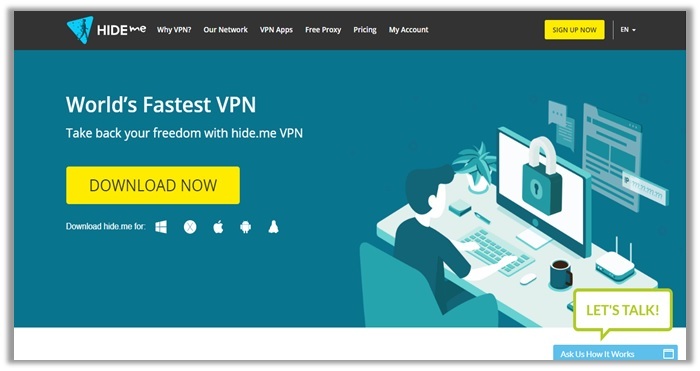 VyprVPN is a Switzerland-based provider that focuses on privacy greatly and guarantees that you receive complete anonymity for bypassing your ISP throttling. The service offers a huge database of 700 servers worldwide, along with perks like DPI Protection, NAT Firewall, and the Chameleon Technology, for better security when engaging in torrenting/streaming activities. Chameleon Protocol for Privacy when Bypassing Throttling. DPI Protection and NAT Firewall for Extra Security. 3-Day Free Trial Available for Testing Software. Does Not Accept Bitcoin Payments. 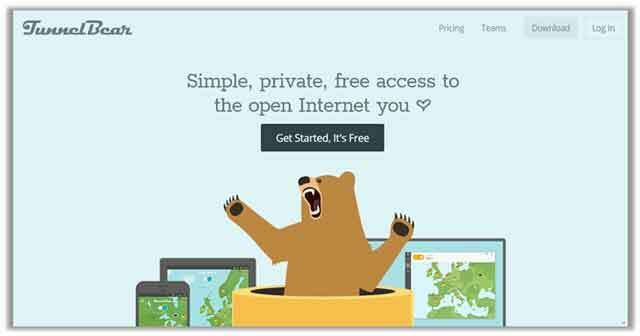 Based in Canada, TunnelBear is quite the remarkable and trustworthy provider for bypassing ISP throttling, which offers users a feature-packed VPN that keeps minimal connection/session logs, along with plenty of features. Among these include cheap pricing of $4.17 per month, if you opt for the Grizzly (annual) plan, servers in 20 countries, five simultaneous connections, and browser extensions too. See full details in tunnel bear review. Cross-Platform Apps Available for Bypassing Throttling. Browser Extensions Available for Chrome and Opera. 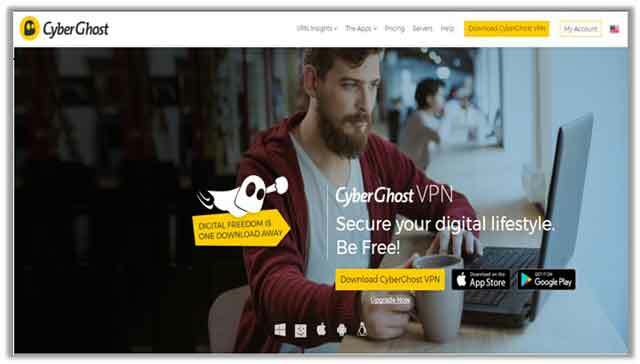 CyberGhost is a Romanian-based provider of VPN services, which is famed for its easy-to-use cross-platform apps, attractive website design, strong OpenVPN encryption, and huge server database. It offers great security for keeping your identity secure when bypassing irritating bandwidth throttling imposed by your local ISP. To test the service out, you even get a 7-day free trial and 30-day refund available. 800+ Servers Worldwide for Hiding Identity. 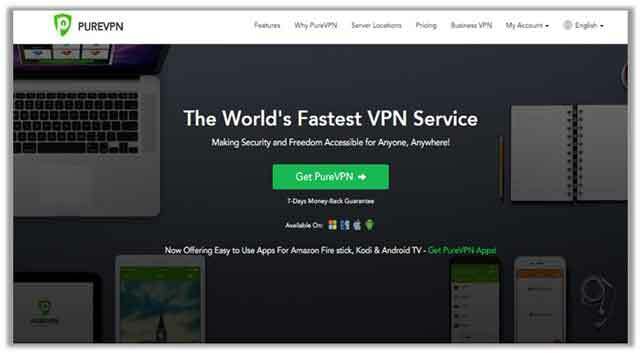 PureVPN is a Hong-Kong based provider, which offers excellent capabilities and functionality for bypassing content restrictions and ISP throttling. The premium plan gives you access to 790+ servers in 140+ countries while offering a huge list of advanced features for maximum security, which include Automatic Kill Switch, NAT Firewall, WebRTC/IPv6/IPv4 Leak Prevention, Split Tunneling, and SOCKS5 proxy. 790+ servers in 140+ countries. Best Free VPN to Bypass ISP Throttling? 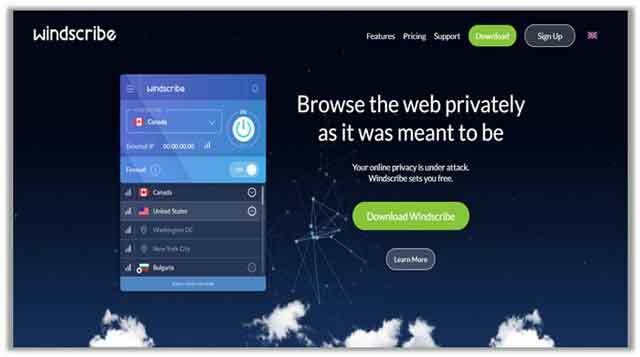 Now featured regularly among the Best Free VPN providers overall, Windscribe is a viable option if you want to bypass speed throttling attempts by your ISP on a budget. Providing immaculate speeds and a whopping 11 servers to connect to in its free plan, Windscribe is among the most generous providers out there. While other Free VPNs do not offer more than 2 GB of bandwidth/month, Windscribe has a 10 GB data limit for its users and you can add an extra 5 GB, if you tweet about it from your social media handle. 10 GB Data Limit on the Free Plan. Need Work in Customer Support. Despite being one of the newer entrants in the market, FalcoVPN has already garnered a name of itself due to its high reliability and impressive up times. It provides multiple protocol support including OpenVPN and a zero logs policy to protect user data. FalcoVPN also offers dedicated apps for all compatible platforms, along with providing 12 VPN servers in major locations to make a major attempt toward stopping your ISP from throttling your speeds. OpenVPN available among supported protocols. Needs To Make Its Bandwidth Policy More Clear. Based in Malaysia, Hide.Me offers both: free and premium plans. As such, you can opt for either. However, if you go for the former, you enjoy 2GB worth of data. This is quite remarkable as compared to other free providers in the marketplace. Other features you get access to include three server locations (Singapore, Canada, and Netherlands), native apps for all platforms/devices, and 24/7 technical support. You even have static IPs, router support, and Port Forwarding available. Free Plan Does Not Unblock US Netflix. Based in the US, Speedify may not be the most secure service in the marketplace. However, it does help in bypassing throttling by shifting your location. 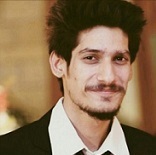 It uses the ChaCha-256 bit encryption and also offers a unique Channel Bonding feature. This allows users to use multiple internet connections, combining your Wi-Fi, Mobile Data, Bluetooth, and Wired Connections all at the same time. You even have access to 1,000 servers in 28 countries worldwide. The VPN even works with Tor! Does not Support Pfsense Compatibility. How to Bypass ISP Throttling on Windows? Thanks to its user-friendly design, intuitive interface, and straightforward configurations, Microsoft Windows has established a huge reputation worldwide. It is the preferred OS choice for almost all computer/desktop users, hence it is only wise to figure out how to bypass ISP throttling on the system. If you want to learn how to bypass ISP speed limit on Windows, follow the steps below for manually performing a settings change to reduce the effects of ISP throttling by lowering data consumption and enabling data compression or try Best VPN for Windows. How to Bypass ISP Throttling on Android? P.S: We have covered Best VPN for Android with updated setup guides. On 15th December 2017 the FCC’s proposal to repeal net neutrality protections in 2015 was sadly passed. The implications of this new change include broadband internet being no longer classifiable as a Title II service. As such, the regulations that go along with it will now be replaceable and ISPs will be able to practice paid prioritization, blocking, and throttling. Therefore, while you may not receive complete success for throttling, you can still try it on Android devices, without rooting. To bypass these new restrictions, it is imperative you invest in a VPN solution. Find a suitable provider from the list above, subscribe to the service, download/install the app, and browse the list of servers. Choose a fast US connection. This will mask your identity by switching your IP address, hence making it impossible to track your online activity or impose throttling. Shut off your phone, reboot it, and enjoy a faster internet on T-Mobile! How to Bypass ISP Throttling on iPhone? How to Bypass ISP Throttling on Torrents and Streaming Services? When it comes to accessing popular streaming services like Hulu, HBO GO, BBC iPlayer, and Netflix, you may experience great lags in the internet connection, with the video constantly showing you the buffering sign. In such circumstances, life can get incredibly frustrating, as all a person needs after a long tiring day from work is to chill and binge a series! So how can you bypass ISP throttling on streaming services and even better, torrenting? Well, the solution we have already mentioned in the above comments plentiful of times. The best vpn for streaming is the perfect tool for bypassing these torrenting/file-sharing restrictions and bandwidth throttling imposed by ISPs, as they shift your location and mask your IP address, by using a different one in another country! How to Bypass ISP Throttling on YouTube? Undoubtedly, YouTube exists as the best streaming resource for FREE videos online. With a 1.5 billion user-base from worldwide that uploads more than 400 hours of videos EVERY MINUTE, It is the preferred choice for marketing brands, while enjoying watching high-quality videos without delays or slow buffering. However, even so, your ISP may log all your internet and streaming activities. As such, they may track when you visit a certain site. For instance, if your ISP realizes you utilize a lot of bandwidth upon visiting YouTube, the next time you open the website and start to stream a video – your ISP will throttle your internet. This may cause serious interruptions during playback, but with a VPN by your side, you can effectively bypass these throttling limitations and enjoy streaming YouTube in HD. ISP throttling on popular services like Hulu, HBO, BBC iPlayer, Amazon Prime, and particularly Netflix is not an uncommon practice. We have been facing this problem for years, but recently we have been most surprised with Cox Communications’ extreme throttling, which makes it almost impossible to watch any movie/TV show smoothly in HD. Now that the net-neutrality laws are a thing of the post, users are going to experience throttling issues more than ever. This goes true, especially for users, who may not opt for the “Streaming” plan, which is kind of the most valued out of all packages. Now, any ISP has the ability of prioritizing content for money to increase traffic on its own channel. If you are sick of these problems, at least for now, the only solution comes in the form of VPNs. By using a reputable service, you can shift your location, and mask your IP address, making it possible to leverage fast streaming on VoD services like Netflix! Type “0” in the section that asks for the “Bandwidth Limit %” and then hit the okay button. Disconnect and Reconnect the network for changes to take effect! Using a VPN for bypassing ISP Data Caps is not different than using it for getting rid of throttling imposed by internet service providers. Simply select a VPN provider from the recommendations list above. Sign up with them by subscribing to a premium plan. Once done, download the app for your device, and then starting using the VPN. Typically, you can start shifting servers instantly to bypass ISP data caps. Customers who are looking for a no-contract, prepaid phone are well aware of the name “Straight Talk”. The company offers the best in pricing and to meet the demands of budget-conscious users, providing unlimited talk, data, and text for $55 per month only, which is quite reasonable to say the least. However, it just does not end here; Straight Talk even offers special deals for different phones. The problem though is that upon using the service, many individuals complained about experiencing poor bandwidth speeds. Upon digging into the matter further, it was clear that just like all other Telecom Providers, Straight Talk data cap is for real and is indeed imposed, particularly after exceeding a 2.5GB markup. Therefore, it does not matter even if you opt for a 60 GB plan, you may encounter slow speeds after a certain while. How can you avoid this? There is no better solution than fooling your provider by using a cheap VPN service. These handy digital privacy and security tools boost speeds by encrypting your internet connection. As such, all your incoming/outgoing traffic is invisible to the provider, free from any limitations/restrictions you might have been experiencing more. For users who are looking for a different solution, consider signing up with GoSmartMobile’s 5GB plan. Throttling will begin after consuming 5GB worth of data! Straight Talk is the preferred choice for many customers, who want to use a no-contract, prepaid phone. 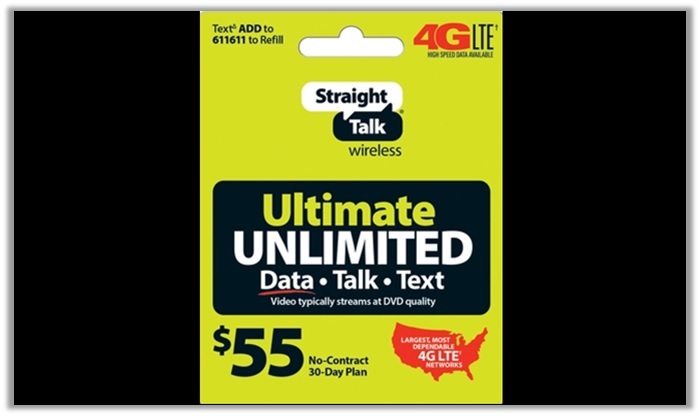 Initially, the provider claimed to offer unlimited data, text, and talk for $45 per month only. However, after using the service, many users reported to experiencing slow speeds. This brought to light that Straight Talk does indeed impose a data cap, after exceeding a 2.5 GB markup. As a result, many customers began questioning how to bypass Straight Talk data cap. Bear in mind that Straight Talk is a provider similar to Verizon and other leading names. As a result, it induces plenty of protocols to prevent users from using high-speed bandwidth. If you want to learn how to perform a Straight Talk data cap reset, a good choice would be to renew your plan. You can certainly try using a VPN for Straight Talk Throttle Bypass. This will help boosting speeds by encrypting your internet connection and forcing it to pass through a secure tunnel, free from limitations of ISPs. If you are in search for a different solution, you could always get GoSmartMobile’s 5GB plan for the same $45 per month. Throttling will begin after you use up the 5GB. It does not matter which mobile provider you are using in whatever part of the world. If you want to bypass speed limits, the solution comes in the form of a VPN service. Fool the AT&T network by connecting to a VPN. This will collect all data and encrypt it by sending through a secure pipeline. When data passes through this gateway, it becomes undetectable for ISP to decode the information. As a result, you can receive full disclosure to use the internet at high speeds for whatever task you want! This is because VPNs also provide shelter and protection from data snooping and hacking, hence providing you a secure AT&T throttling workaround. If you have been encountering slow speeds while watching YouTube videos, chances are AT&T is throttling your bandwidth allocation. In fact, the same goes for all other providers, according to this Reddit Thread. A Redditor posts screenshots of a test revealing there is a differentiation present in the YouTube app. It is rather uncanny for ISPs to throttle speeds on YouTube, but as network congestion on peak hours may increase, they may resort to reducing your speeds. This results in videos loading with a lot of buffering. Some ISP’s may even use throttling for greed to ensure users are not streaming many HD (1080p) videos. To avoid the speed caps, simply invest in a VPN like PureVPN or NordVPN. Connect to a high-speed server from within the U.S or outside. This is a good AT&T throttling workaround, which will allow you to explore the internet at fast speeds, without the worry of your ISP keeping track of your activity. Hit the “Connect” button and enjoy the difference in speeds by cancelling throttling! Verizon exists as the most famous telecommunications provider in the US, boasting a huge 154 million subscribers in Q3 of 2018. It operates the fastest 4G LTE network, covering about 98% of the US population. However, similar to Straight Talk, AT&T, Sprint, and others, Verizon is not exactly innocent in hindering the internet experience of their users. The provider imposes bandwidth throttling on various plans even before reaching the data cap. Now, by default, you can sign up with any of the VPNs above for putting a stop to the throttling efforts of Verizon. However, while it may work in some cases, Verizon being a leading provider detects tethering by checking the TTL of IP packets. So, users need to indulge in a more aggressive method. Opt out of using TCP and set the protocol to UDP port 1194, the official OpenVPN port. Enable SSH Connections and SSL encryption on all ports for boosting your security. Try varied high ports like 41185 and check the difference in speeds that you receive. No matter whether you are on a ship or in your hometown in the Mid West, you can avail the best internet facility wirelessly through HughesNet. HughesNet has been known for big period of time now in offering reliable and stable internet connections to its valuable customers. However, like all internet based services, HughesNet is also a bit stingy. It throttles your internet speeds to maintain them at certain levels. Usually, conventional customers get 25 Mbps of Download Speeds and 3 Mbps of Upload Speeds, which isn’t bad at all. But its not good either. 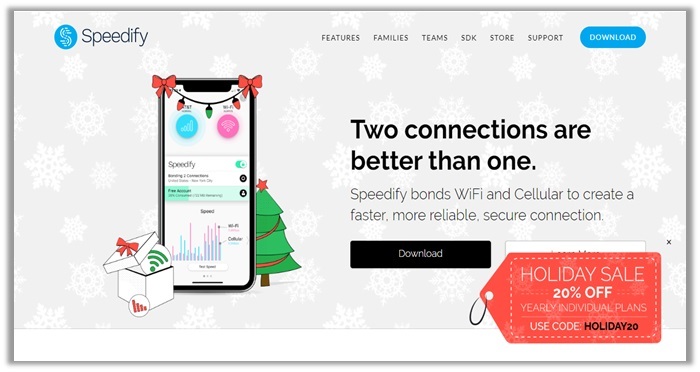 With all the heavy browsing habits of customers these days, any cap on speed definitely creates a rawness of experience which users would definitely love to shake off somehow. And they can easily do that by getting a powerful VPN, that offers good speeds itself, to get through the HughesNet Speed Throttle problem. I personally recommend ExpressVPN and NordVPN for this task as their speeds are always great, especially those of ExpressVPN. The change in speeds after the VPN bypasses the throttle is not too big. It just increases your speeds by a margin of 2-7 Mbps depending on the time of day and the amount of bandwidth being consumed in your surroundings. For even faster internet, get a better package, but if you just want a good enough increase in speeds, then a VPN is the best tool available for the purpose. After you’ve exhausted or exceeded your monthly data limit, Cricket does indeed start to throttle your speeds. And that’s because, even they have to prioritize the customers which pay for better plans as compared to those that are on lower data plans. Again, I would recommend that you go for ExpressVPN out and out, because it’s the only provider that offers speeds that can make a throttle bypassing feature seem plausible in the first place. Reddit being the most famous community online for users around the world to express their unaccepted opinions and intriguing questions – offers the best value for the reader by providing them with legit and unbiased details about each provider for bypassing ISP throttling. More importantly, you can find many threads that gives you an overview on what best vpn reddit apps have been used for in this day and age. Comment from discussion [account deleted]’s comment from discussion "Does a VPN really prevent your isp from throttling you?". The solution is simple. 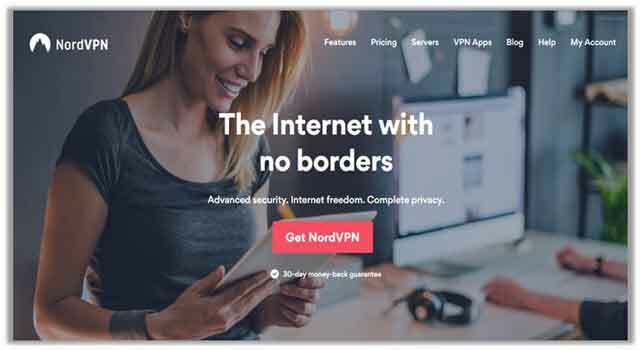 It requires the usage of a reputed VPN service, like the names mentioned above, which include NordVPN, VyprVPN, CyberGhost, PureVPN, and TunnelBear, all of which are famed for delivering a quality product that allows users to bypass ISP throttling instantly, while protecting your identity. This ensures you stay safe from government agencies and copyright infringement agencies, especially when engaging in P2P/Torrenting or streaming pirated content! Are ISPs Allowed to Throttled Through VPN? Regardless of where you are located in the world and which mobile provider you select, almost all names will impose bandwidth restrictions, which hinder the entire internet browsing experience for people like us. The only solution for USERS is to fool these networks by connecting to a VPN. Subsequently, it does not matter if your ISP is providing a service through VPN, they might still be able to see your data. All you have to do is make sure you are protected, which requires signing up with a reputable provider! Many countries around the world previously imposes Net-Neutrality, which demanded equal distribution and attention of resources, across all platforms and services. When the law was still in use, it was certainly illegal to impose throttling. However, now with Net Neutrality laws repealed, ISPs and particularly Telecom Providers have gained the upper hand. They can now price their services according to different needs, which makes it legal to throttle internet! Can Your ISP See What You Do on a VPN? Haa, they wish! One of the best things about using a VPN service is that it boosts your digital anonymity, keeping your identity private when visiting websites/services, but also from your own ISP. By shifting your location and masking your IP address, they may only be able to see your network usage, but not the sites you visited, and other session/connection information. It is almost as if you disappear from the radar of your provider, which ensures you stay protected at all times from legal issues! How Can I Hide My Browsing History from Internet Service Provider? One of the worst tactics of earning money plenty of ISPs engage in is to use the information they gather form us users and selling them to third-party companies/services, who then utilize that vital data to release targeted advertisements and influence our shopping decisions. At the same time, it can feel really awkward knowing that every single search of yours is tracked and monitored by ISPs. The only way to hide your browsing history and leverage complete anonymity is to invest in a VPN service! 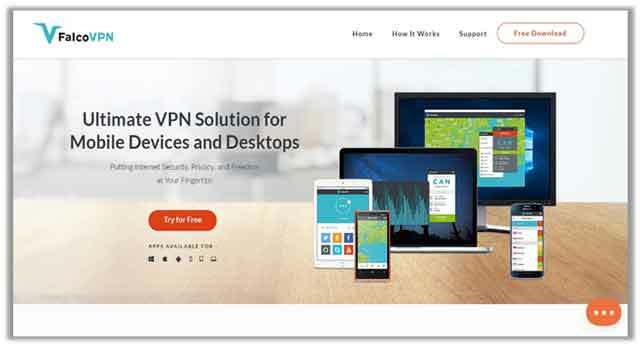 At BestVPN.co, we aim to provide our users with comprehensive guides for all types of uses and purposes relating to Virtual Private Networks. We hope this piece helps you understand how to Bypass ISP Throttling by using reliable providers mentioned above. Regardless, if you encounter any issues or have suggestions to offer, please do not hesitate to comment. Also, feel free to share the guide with your friends and family members, who may want to know more about bypass throttling. Follow us on Twitter and stay updated.